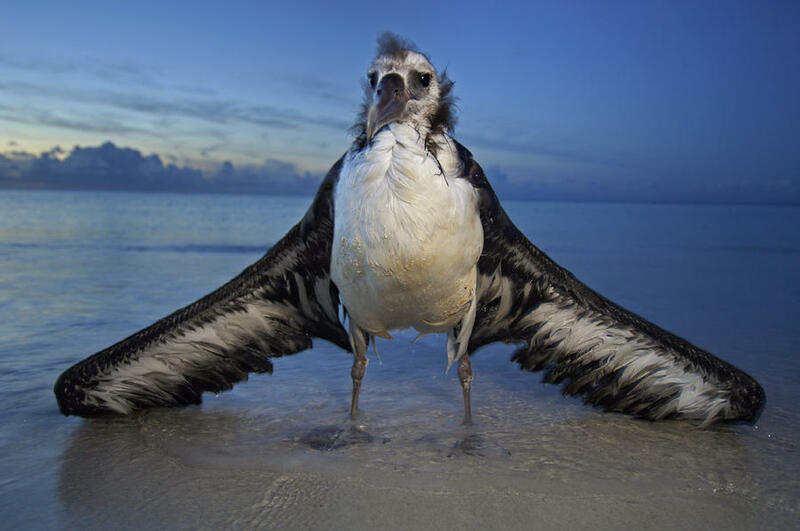 albatross!, biology 101, biology and behavior, biology matters, different peoples is different (duh! ), diversity doesn't work, robert putnam, steve sailer, things that make you go hmmmm..., what's this hbd business all about anyway? “WASHINGTON (AP) – You can take our word for it. Americans don’t trust each other anymore. “We’re not talking about the loss of faith in big institutions such as the government, the church or Wall Street, which fluctuates with events. For four decades, a gut-level ingredient of democracy – trust in the other fellow – has been quietly draining away. “These days, only one-third of Americans say most people can be trusted. Half felt that way in 1972, when the General Social Survey first asked the question. “Forty years later, a record high of nearly two-thirds say ‘you can’t be too careful’ in dealing with people. “An AP-GfK poll conducted last month found that Americans are suspicious of each other in everyday encounters. Less than one-third expressed a lot of trust in clerks who swipe their credit cards, drivers on the road, or people they meet when traveling. “Does it matter that Americans are suspicious of one another? Yes, say worried political and social scientists. “What’s known as ‘social trust’ brings good things. “A society where it’s easier to compromise or make a deal. Where people are willing to work with those who are different from them for the common good. Where trust appears to promote economic growth. “Distrust, on the other hand, seems to encourage corruption. At the least, it diverts energy to counting change, drawing up 100-page legal contracts and building gated communities. “Even the rancor and gridlock in politics might stem from the effects of an increasingly distrustful citizenry, said April K. Clark, a Purdue University political scientist and public opinion researcher. hmmmm. now what could be different about america today versus america forty years ago? hmmmm. i just can’t imagine [see bottom chart in that section]. in other words, Diversity Doesn’t Work. it doesn’t even work in twenty-plus million (20+ MILLION!) virtual diverse worlds! no matter how you cut it, Diversity Doesn’t Work. but the social scientists keep telling us that it will work out great in the end, just you wait and see! just like in syria, indonesia, kenya, the balkans, egypt, rwanda, burma, the caucasuses, malaysia, northern ireland, afghanistan, the philippines, cyprus…. see also: classic article on putnam’s findings Fragmented Future from steve sailer. biology 101, biology and behavior, biology matters, community pschologists, community psychology, different peoples is different (duh! ), diversity doesn't work, ison comet alert!, obnoxious, pc makes you dangerous, pc makes you stoopid, robert putnam, self-absorbed, steve sailer, the community-diversity dialectic, what's this hbd business all about anyway? you’ve probably already seen/read about the latest case of politically correct researchers discovering that Diversity Doesn’t Work. if not, see here: The Paradox of Diverse Communities. or steve sailer: Dr. Vibrant notices diversity v. community trade-off. i’ve just read the original research paper — The (In)compatibility of Diversity and Sense of Community [pdf] — and it is MUCH funnier than any of us might’ve predicted! it would’ve been absolutely hilarious, except for the fact that these people take themselves seriously and keep trying to foist diversity onto the world. never mind that they, themselves, keep finding that Diversity Doesn’t Work. “…the values of community psychology notwithstanding….” heh! “Perhaps it is possible to simultaneously promote diversity and sense of community in a slightly different worlds where behavioral tendencies toward homophily and/or proximity are weaker, or stronger, or even reversed. To consider this possibility, we repeated the analysis shown in Fig. 4 using different levels of homophily and proximity. Specifically, we examined diversity and sense of community in 500 simulated neighborhoods varying in their level of integration (steps 2–6), for every level of homophily between -5 and 5 (in increments of 0.05; step 7) and every level of proximity between -5 and 5 (in increments of 0.05; step 8). This required slightly more that 20 million separate simulations (i.e. 500 neighborhoods 9 201 levels of homophily 9 201 levels of proximity) and approximately 6,000 processor-hours to complete…. “The findings illustrated in Fig. 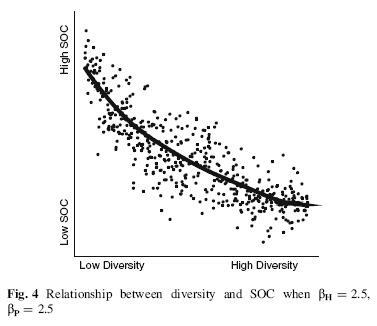 5 confirm that the negative relationship between diversity and sense of community observed in Fig. 4 is not simply an artifact of the particular combination of behavioral tendencies toward homophily and proximity (i.e. bH = 2.5 and bP = 2.5) we initially examined. All points in the upper-right quadrant of Fig. 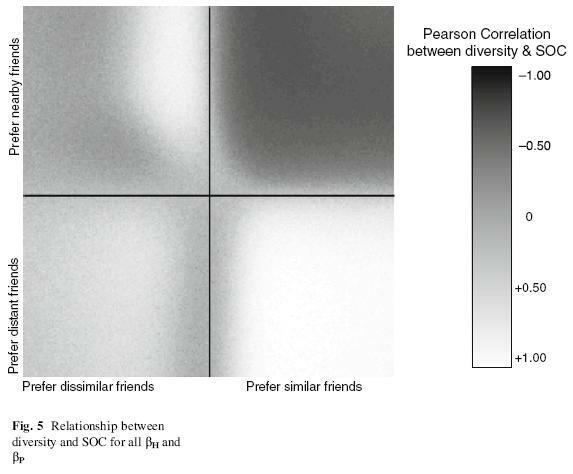 5 are dark, indicating that all combinations of homophily and proximity yield a negative relationship between diversity and sense of community. That is, in any world where individuals exhibit at least some tendency to form relationships with similar others (i.e. 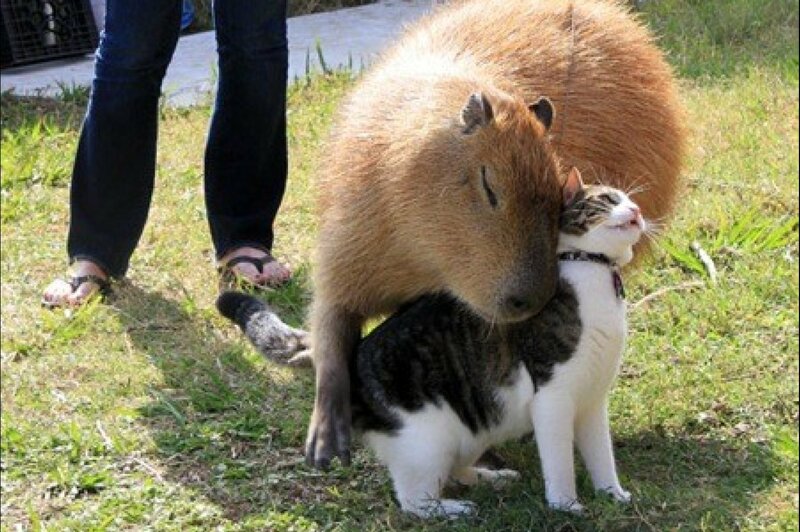 bH[0) and at least some tendency to form relationships with nearby others (i.e. bP[0), diversity and sense of community are negatively related. It is important to note that all studies of human social networks have observed behavioral tendencies toward both homophily and proximity, while none have found worlds where one or both of these behavioral tendencies was missing. Thus, while the findings illustrated in Fig. 4 suggest that diversity and sense of community are negatively related *in a typical world*, those illustrated in Fig. 5 suggest this negative relationship would persist *in all reasonably likely worlds*. more and more, politically correct social researchers — like putnam [pdf] and now these guys — are discovering that Diversity Doesn’t Work, and they’re finding it hard to express their disappointment. their hurt feelings. the phrase “community-diversity dialectic” was coined in this paper: Reconcilable Differences? Human Diversity, Cultural Relativity, and Sense of Community. right. ok. so…the goal of community psychology seems to be to make community psychologists feel better — i.e. to achieve goals that are “near and dear” to THEM — and NOT to … you know … actually HELP COMMUNITIES. previously: the “happiest, healthiest” community in the u.s.